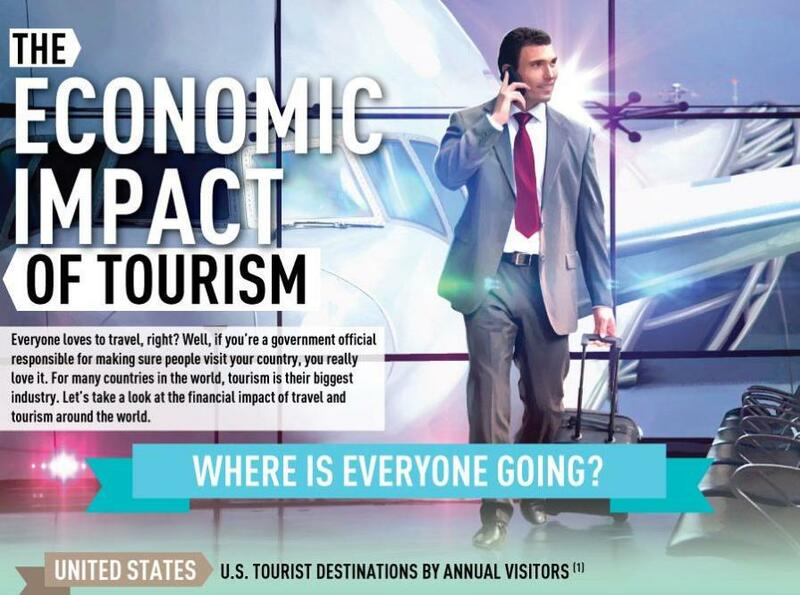 The tourism industry is known for the many economic benefits it can bring to a country. It does not only create jobs, but also lead to a better cultural understanding and improvement of the infrastructure. Tourism generated sales, employment, taxes and many other factors do have a great economic impact and effect the GDP noticeably. Our colleagues from online-accounting-degrees.net recently created an interesting research graphic which I would like to share with you.